Beijing's Deng Qian, 26, a project manager with an English learning app, is an inveterate high-spending tourist－and her three to four overseas trips every year have dramatically changed in character of late, in line with a broader trend. "I'm not going overseas just for scenic spots, but to experience life and different cultures," Deng said. Each of Deng's overseas trips could last from five to 10 days, during which she may spend 5,000 yuan ($750) to 10,000 yuan. But, unlike in the past, Deng does not spend much on shopping outside the mainland these days. In fact, from around 50 percent of a trip's overall expense, shopping's share has dropped to around 30 percent. Instead, Deng focuses on "experiences"－bed-and-breakfast facilities are in; star hotels and shopping are out. During her trips, she visits only one tourist attraction a day. Most of the time, she would walk through the streets, interact with locals, take pictures and, if the mood takes her, cook herself a dinner. During her travels in countries such as Thailand, Singapore, Sri Lanka, Mongolia, Russia and South Korea, Deng bought not consumer stuff like kitchen appliances but distinctive articles made of ivory in Thailand and a matryoshka doll in Russia. Not that Deng totally avoided irresistible makeup deals at tax-free shops. "I bought it because the price was cheaper than that in the Chinese mainland." There was a time when outbound mainland tourists such as Deng were seen in Hong Kong, Macao, Taiwan, as well as in foreign countries as crazy shoppers who can't have enough of tax-free shops stocking expensive watches, jewelry, fashion, accessories or cosmetics. Now, however, Deng and her ilk are more interested in diverse life experiences. The trend started in 2015, two years after China became the world's largest source of tourists. Last year, 131 million Chinese mainland tourists traveled to Hong Kong, Macao, Taiwan and the rest of the world, up 7 percent year-on-year (and up from 8.42 million in 1978 when reforms and opening-up began, leading to an average annual growth rate of 15.5 percent), according to a June report from the China Tourism Academy. They spent more than $115 billion outside the mainland, 5 percent more than in 2016. But shopping expenses fell by about 10 percent, it said. 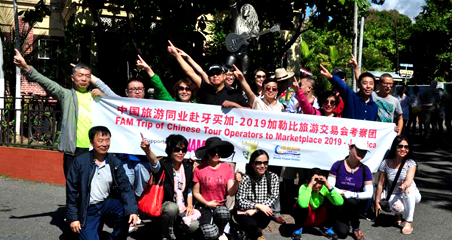 Jiang Yiyi, president of the academy's international tourism research institute, said an increasing number of out-bound mainland tourists now care more about local food, culture, natural landscapes and outdoor sports than shopping and bargains. In the past, the United States and Europe were favorite destinations of Chinese tourists who coveted luxury goods such as high-end cosmetics, bags, perfumes and apparel. Buying them overseas rather than in the mainland worked out cheaper, said Li Lei, an analyst from global consultancy firm Roland Berger. For example, a bag worth 10,000 yuan abroad used to cost 20,000 yuan in China. Now, the wide price gap has narrowed to about 2,000 yuan to 3,000 yuan, Li said. "Chinese tourists may not bother to buy when traveling overseas if they can buy the same stuff at home," he said. "Besides, it's more convenient to ask for after-sales services at domestic stores." Another reason why Chinese tourists are less interested in shopping overseas, according to Li, is that the quality of made-in-China products is improving. Also, the influence of Chinese brands is growing. "The time when Chinese people rushed to buy milk powder, frying pans and toilet covers at stores outside the mainland has long passed into history." 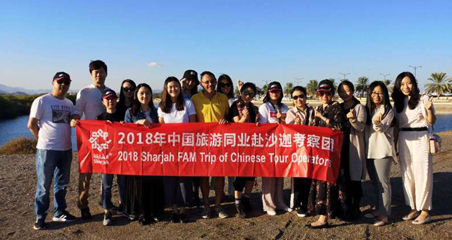 As for the future, outbound tourism is expected to grow at about 5 percent in the next five years, said Dai Bin, president of the China Tourism Academy. Li said: "The consumption demand of Chinese travelers is still strong. What has changed is that they are more willing to pay for things that can bring deeper, richer experiences. "For example, besides snapping a few souvenir photos along the Seine River (in Paris), Chinese tourists may also fancy watching Les Miserables at a theater." He said the trend is in line with other markets such as the US and Japan where outbound tourists prefer cultural experiences more than shopping and sightseeing. 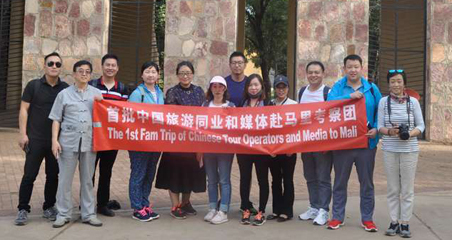 Travel companies should develop more customized products to meet the demands of different tourists, such as those seeking thrills and adventure, those wanting a more luxurious experience, and those more concerned about costs, according to global marketing consultancy Accenture.